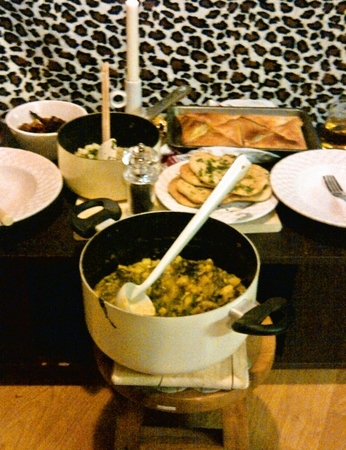 Indian food is one of my most favoured cuisines. I find it so exciting and varied and love what it has to offer for vegetarianism. Indian cooking is an art that I find much delight indulging in, experimenting with spice blends and forms in which to use them, be it curries, pakoras, pilafs or samosas. There is so much more to Indian cuisine than the local takeaway. A ready made curry paste is a great store cupboard essential. I use these when I’m in a hurry or can’t really be bothered to grind and measure spices and slowly heat them. I love Geo Organics range of pastes. I simply saute the paste with an onion, add any veg or tofu that I have, add a can of coconut milk and simmer until rich. You can also used creamed coconut and water or add a tin of tomatoes for a less creamy curry. There are a number of styles of Indian breads, from Appam to Chappati to Naan – for me, no Indian meal is complete without it. Furthermore, there’s no pleasure like making your own over opening a packet. The truth is, it’s easy, it’s fast and delicious. This recipe is for a basic, quick, naan raised with baking powder instead of yeast to aid in it’s speed and ease. 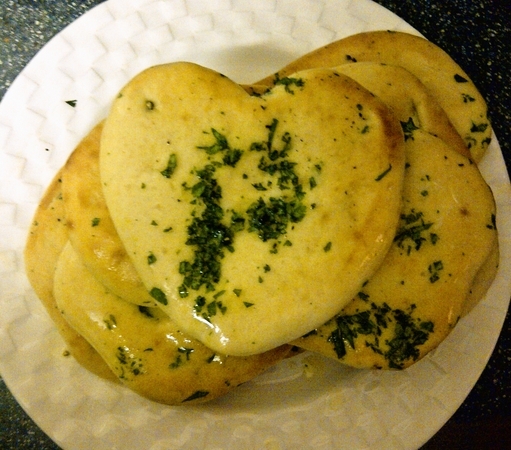 Here I have made garlic and coriander naan but really you can flavour as you wish or leave plain. I like to add the flavourings into the raw dough as opposed to simply topping it as the original recipe suggests. This way the flavour is more evenly distributed and it also looks pretty with flecks of green herbs throughout the bread. Try it. Play with it. Enjoy it. Based on a recipe by Anjum Anand. Makes 5 naan. For the dough, sift the flour, sugar (if using), salt and baking powder into a bowl. In another bowl, mix together the milk and oil (and syrup if using instead of sugar), then stir in the crushed garlic. Make a well in the centre of the flour mixture and pour in the liquid mixture. Slowly mix together to make a smooth, soft dough. Add the chopped coriander, (stalks and all) then knead for 10 minutes by hand or 5 minutes in a mixer with a dough hook , adding a little flour if the dough is too sticky. Place the dough into an oiled bowl, cover and leave at room temperature to rest for 10-15 minutes before forming the dough into five balls. Roll the dough balls out thinly, into circles or teardrop shapes. 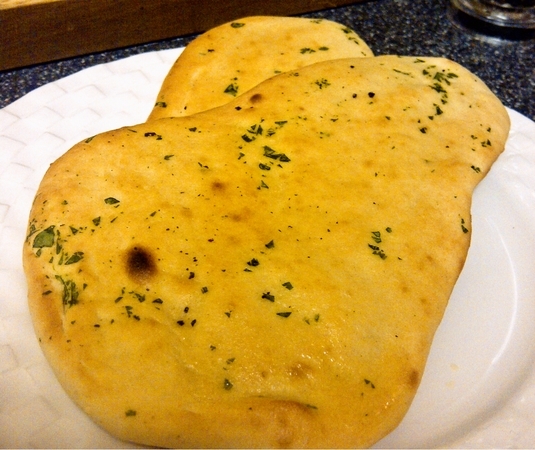 Place the naans onto the hot baking sheet and grill for just 1-2 minutes, or until lightly browned. Brush with the oil or margarine before serving hot, sprinkled with extra fresh coriander. This entry was posted in Bread, Egg-free, Mains, vegan, Vegetarian and tagged baking, bread, food, indian, indian food, naan, vegan, vegetarian. Bookmark the permalink. Thanks for the recipe. I look forward to trying it! Oooh. I’ve been looking for a vegan naan recipe! Awesome.